Full Disclosure: We wrote this at 4AM. Please excuse any incoherent babbling. Last night (this evening? Time is confusing at this hour) I had the privilege of attending an intimate dinner coordinated by members of The Bush School. The Breaking Bread Dinner Series is a new movement to convene activists, organizers, and conscious thinkers for an evening of food and dialogue about race and intersecting oppressions. 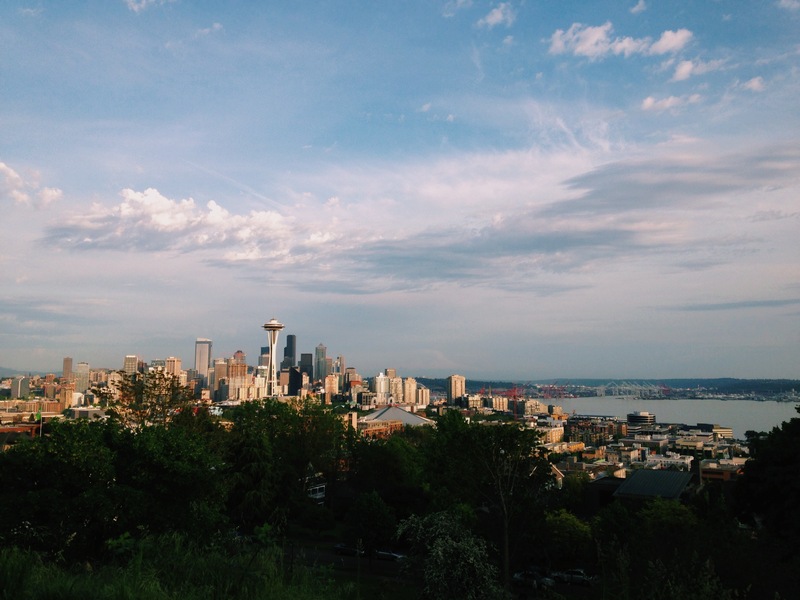 The quarterly event is nomadic throughout Seattle and will always take a different shape and form with a revolving door of guests to keep the dialogue fresh and inclusive. 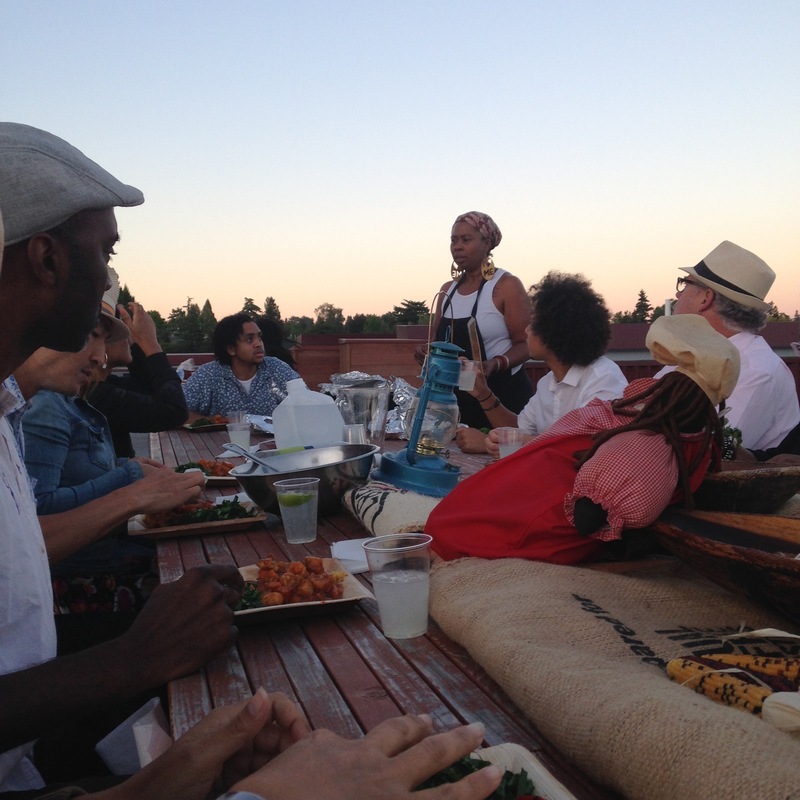 Rooftop decolonized dinner with big wigs in the social justice world. PINCH ME. The evening began with a knockout meal artfully crafted and curated by Chef Kristi Brown-Wokoma of That Brown Girl Cooks (more on that later), which then moved into a discussion on how the Seattle Freeze affects our communities. Perhaps too starstruck by the guest list and otherwise too conditioned to catch stories rather than share them, I spent most of the evening absorbing the dialogue. Now in the clarity of the 4AM moonlight, I can process and reflect on the evening’s dialogue. How a city of cold shoulders relates to race relations may seem vague, but here’s how I see it. As activists, the Seattle freeze inhibits our ability to build a genuine community for social change. Closing ourselves off to new relationships not only limits our experiences and analysis, but also breeds elitism, destructive power dynamics, and resentment between in-and out-group members. The cliques both within and across racial identities isolates us from building relationships, movements, and actions. This is not to say we need to hold hands and sing “kumbaya,” nor do away with caucusing (DON’T MESS with my caucuses! ), but our city’s struggle to exert effort into inter-and inner-racial relationship building is ultimately hurting our collective power. To make matters worse, the recent and drastic gentrification/displacement epidemic that’s sweeping Seattle only exacerbates conditions. Gone are the townfolks who’d wave, nod, or even stop to chat with you on the corner. And in their place: cold and impersonal attitudes of gentrifiers–many privileged, white, males in the tech industry–who have wasted no time in claiming entitlement over the hood. With this change, I’ve noticed that folks of color are not only harder to come by in the city, but I also tend to keep my head down in the face of new unfamiliars. This can give way to hostility between POC and whites, preventing us from building community. Case in point: the recent painting of a crosswalk in the Central District–A historically black neighborhood that is gentrifying at alarming rates and has lead to displacement of longtime black residents and businesses. The revamped crosswalk features the colors of the Black Liberation flag and has been met with ill will and animosity by many of the new white residents. Rather than celebrate in alliance with the black community for taking action, anti-black sentiments expressing concern over property defamation and entitlement over the neighborhood ring in our ears. The process of unfreezing ourselves ultimately seems to require living in a counterculture; one that is open, nourishing, and willing to try. It begins with awakening ourselves to how we uphold the Seattle Freeze in our interactions and actively moving against that habit. Making efforts to connect and stay connected with those within and outside our community is a step toward thawing. The Breaking Bread Dinner Series embodies such efforts by bringing folks–both strange (me) and familiar–to feed our bodies and grow community. As if the dialogue around the table wasn’t deep, Chef Kristi took our meal to that next level deepness with a beautifully curated menu rooted in the history of Harriet Tubman. Kristi, who gives hummus to the people through her mouthwatering black eyed pea hummus brand, has been researching Ms. Tubman’s identity and her close ties to food. What she’s uncovered is a deep seated history of food oppression and reclamation of food as a tool for power. With this storyline, Kristi developed a menu that honored Harriet’s position as a cook and activist, while decolonizing our plates through disruption of oppressive foodways. Our decolonized plates that embody the spirit of Harriet Tubman. In an effort to not co-opt Kristi’s narrative (which we hope to capture soon!) we cannot deconstruct the history and intention within this menu, since we wouldn’t do it justice anywho. But we will share the admiration for Kristi’s continued efforts to unearth how staple foods in the African slave diet–cornmeal, collard greens, beef, and pork–were deviously and selectively given to slaves in an expression of oppression. Her re-imagination of these oppressive foods and celebration of the reclamation of food for power by both Ms. Tubman and herself are an audacious slap across the oppressors face that we all should attempt to mirror. 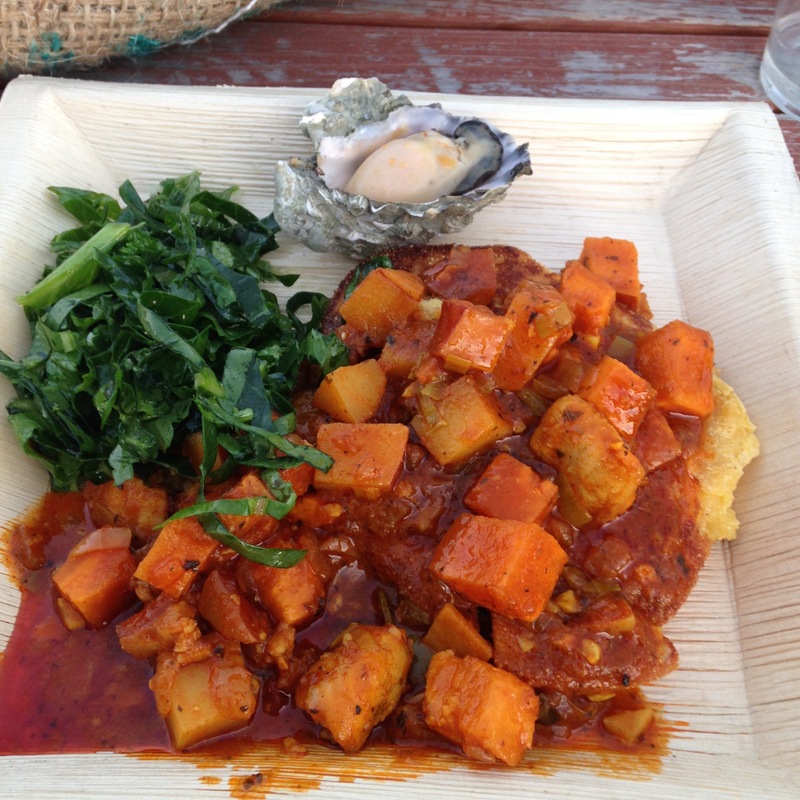 For more musings on decolonized foodways check out the blog, Decolonize Your Diet.